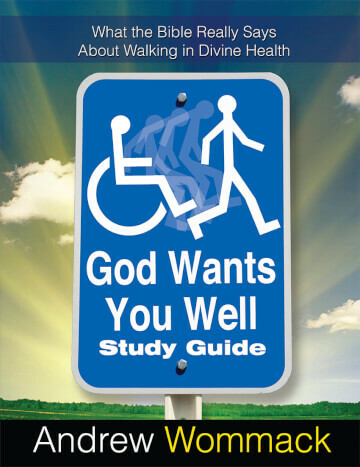 281 page spiral bound book What the Bible really says about walking in divine health. Christ paid for the healing of our body as completely as He paid for the forgiveness of our sins. Christ paid for the healing of our body as completely as He paid for the forgiveness of our sins. Many people find it difficult to believe that God wants them well. They may be suffering personally or perhaps watching a loved one endure sickness and pain. In either case, they become discouraged after their prayers seemingly go unanswered. They then conclude that God must be allowing this to happen, or worse, that He has caused it. Both are wrong and both bring into question the goodness of God. In this book, Andrew shares the truth of what God's unconditional love and grace has already provided. Healing is a big part of that provision. He answers many common questions including those about Paul's thorn in the flesh, the sovereignty of God and more. If you or someone you know is in need of healing, this book is for you.